Now that 5G is finally a spec and not just empty marketing speak, companies left and right are starting to schedule when their first 5G devices will be released. Huawei plans to out its first 5G smartphone in the second half of next year, according to a slide shared at the Chinese company's global analyst summit in Shenzhen. 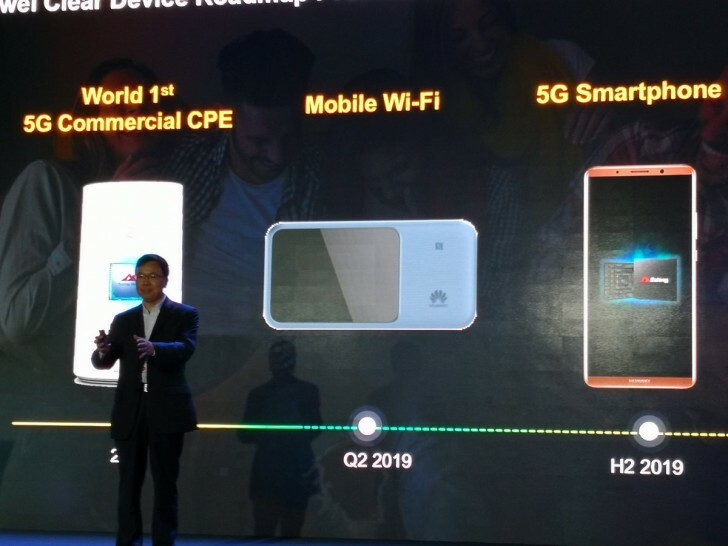 Prior to that, the first Huawei 5G mobile hotspot will launch in the second quarter of 2019. Both that product and the smartphone are expected to employ baseband chips developed in-house. The company unveiled the Balong 5G01 modem at MWC this year, and it might be found inside the aforementioned hotspot. Given the H2 2019 release timeline, we assume that the smartphone in question could be the Mate 30, provided that this year the Mate line jumps from 10 to 20 like the P series did.